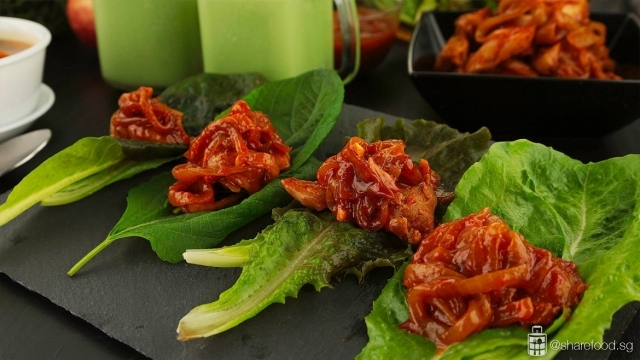 Low in calories and high in fibre - these dishes are packed with high nutrients and vitamins! In one of the recipes, we used Kale, a superfood that is loaded with powerful antioxidants, a great source of vitamin C and K, contains powerful nutrients that protect the eyes and the list goes on. 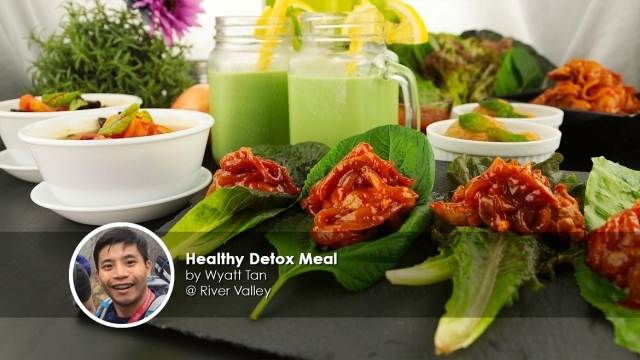 These recipes are shared by Wyatt Tan, an inspiring figure on health and wellness. He believes that healthy food can also be delicious, therefore he created a blog to share with health and fitness enthusiasts who want to eat better, healthier and at the same time build stronger muscles. 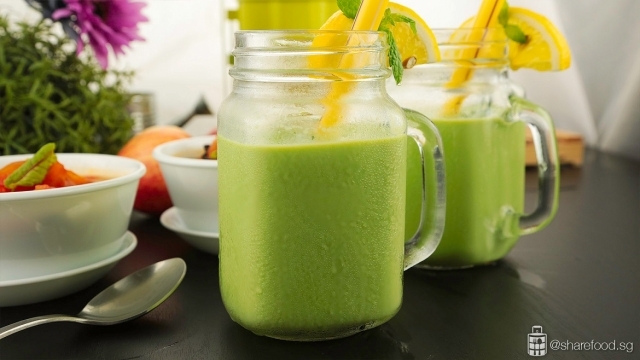 Starting the meal with a Super Kale Smoothie, followed by a Wholesome Tomato Clear Soup, chow down on a Low Carb Korean Lettuce Wrap and end it off with a refreshing Minty Apple Lemon Sorbet. 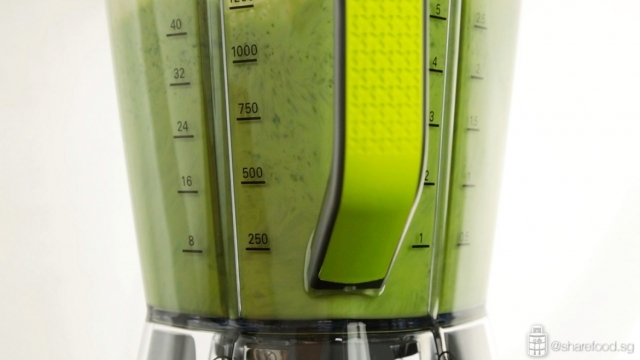 Having a blender in the kitchen makes things a lot easier and reduces preparation time by almost half. We've gone through the days of cutting and chopping without one and having this blender has saved us a lot of time and work. The amazing part of Kenwood's Blend X Pro is that we can easily make quick and healthy meals such as juices, smoothies, sorbets and many more. 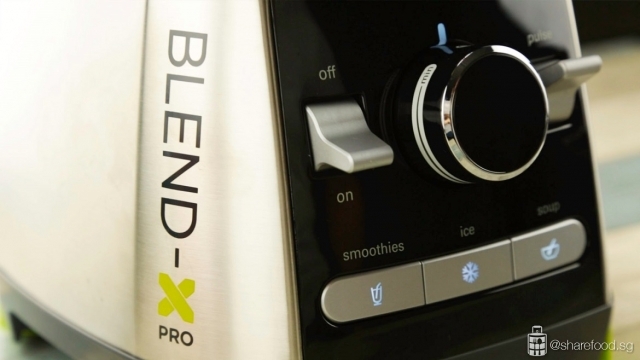 This blender is so powerful that we can blend ice in the fastest time. Give it a try; you'll be amazed by what it can do. 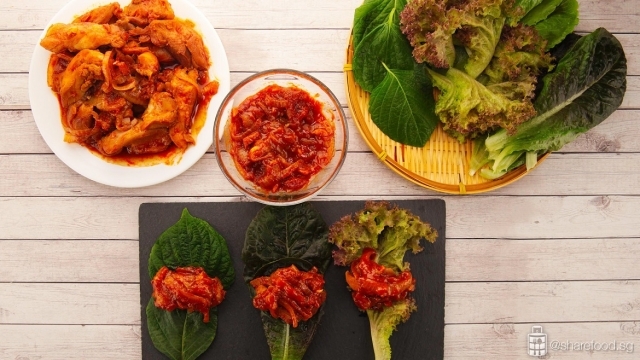 Think beyond lettuce leaves. We were spoilt for choice with the selection of fresh vegetables from Packet Greens. The vegetables are locally grown in an indoor farming facility and are pesticide free. They have a wide variety of vegetables ranging from Japanese Shiso, Red Romaine Lettuce, Rossa Lettuce and more. You can also find a rare herb called Lemon Balm that has many natural health benefits such as protect against heart and liver problems, improve mood, concentration and sleep. The elders are very familiar with lemon balm, share it with them and they'll be impressed. We are all guilty of overindulging during Chinese New Year. 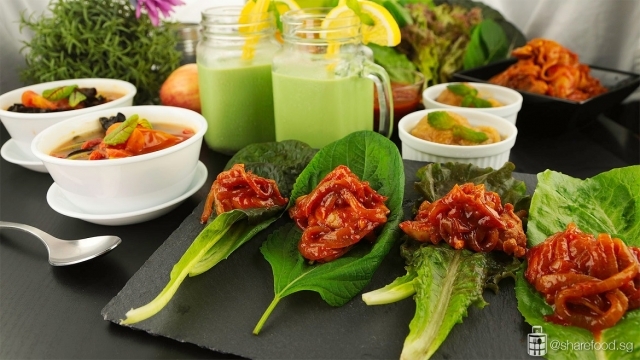 Let's all eat heartedly and happily with this healthy detox meal! Pour yoghurt onto freezing tray. Freeze it for at least 2 hours. 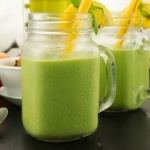 Place the kale leaves, lemon balm leaves, mint leaves and milk in a blender. Blend till smooth. Use a sieve to separate the juice from the fibre. Discard the fibre and pour back the juice into the blender. Add the frozen yoghurt cubes, blend till smooth and it's ready to be served. Place 460g of cherry tomatoes in the blender and blend till smooth. Drain the tomato juice, discard the pulp. In a pan, pour in the tomato juice and chicken broth. 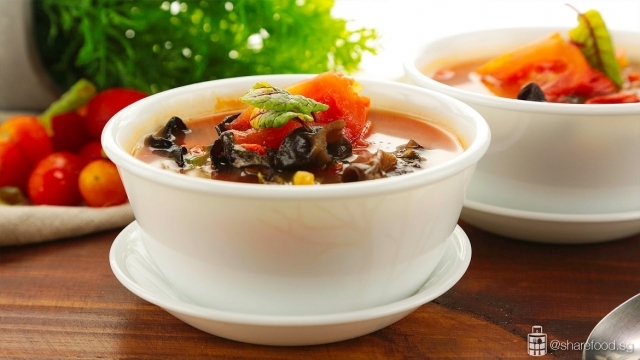 Add in tomato wedges, goji berries and black fungus. Bring it to a boil. Add in mizuna, turn off the fire and it's ready to be served. 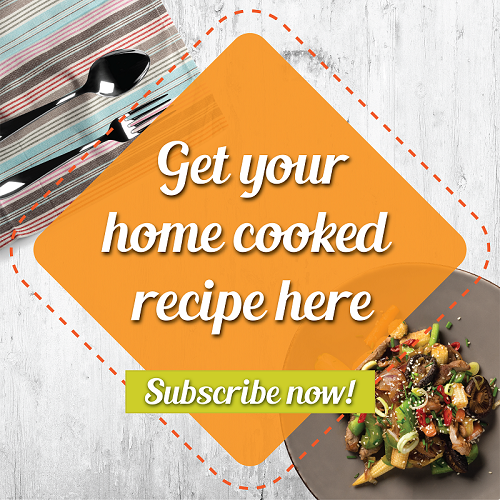 In a bowl, mix the chicken with the BBQ marinade. Cling wrap and place it in the chiller for at least 1 hr. In a pan with heated oil, add in chopped garlic and onion. Fry till the onion softens. Add the marinated chicken meat and allow it to fully cook. Remove the chicken from the pan and place on a serving plate. Leave the excess sauce in the pan. Add corn starch into the sauce to thicken it. 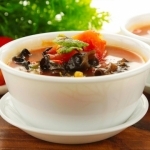 Pour the sauce into a serving bowl and serve it together with the meat and the vegetables. Place all ingredients into the blender, blend till smooth. Pour the ingredients into the ice cube trays. Freeze it for 2 hrs. 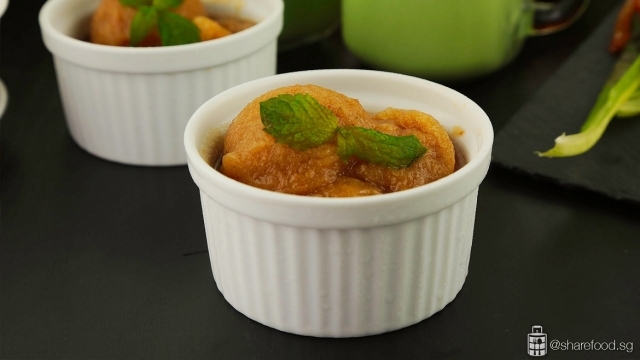 Place the frozen apple cubes into a strong blender. Use ice function and blend till smooth. Try to work as fast as possible to minimize melting. 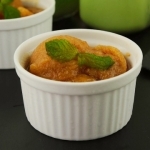 Spread the sorbet into a container, cover with lid, and put back in the freezer for about 2 hrs to firm up. Scoop using an ice cream scoop and decorate with some mint leaves to serve.